“You have been getting thinner and thinner ever since I know you three years ago. I am so worried for you but I have ran out of ideas on how to help you out,” Alex said to me, and he could not stop crying. He was worried of my deteriorating health – I was diagnosed with anorexia nervosa in my second year of doing PhD and things did not seem to get any better after that. Many would find it bizarre to find a Malaysian who dislikes eating, even shocking if that person stays in Penang. Although Penang was chosen by CNN as one of the best global places for delicious street food, but for me, my digestive system was not even enticed; ever since I started doing my PhD all I wanted to do was to solve questions raised in my academic readings rather than spending the 30-minutes to fix my meal. A jungle of journals and books were rummaged here and there around my small room in Desasiswa Bakti Permai and I would confine myself in the room for two days before I felt the need to eat. I was viewed by everyone, including my supervisor, Dr Kasim, as simply crazy but I – as if the soul was stripped off – could not forgive myself for my incompetence and I could no longer remember the fact that food, water and sleep made up the lowest but most needed element in Maslow’s hierarchy of needs. I shed my tears on my bed looking at Alex. He was right, I was only 42kg and I no longer fit even the lowest requirement to donate blood. Before I was anorexic, I was 45kg. Though I was still considered underweight, it did not look as if I was out of proportion – it just appeared that my typical Asian height overshadowed the rather skinny me. I lived a life of a cycle of not eating, spending money on unnecessary things and then fading into deep regret and repeat. Nothing would work, not even a motivational book. It was a life that had no difference from the dead; I was dead from the inside out and my mind was filled with negative thoughts. But it was my buddy’s tears, that woke me up, filling me with remorse. The wakeup call by someone you love and treasure – crying hard because they could not bear your responsibilities and because they love you – awakens the soul. 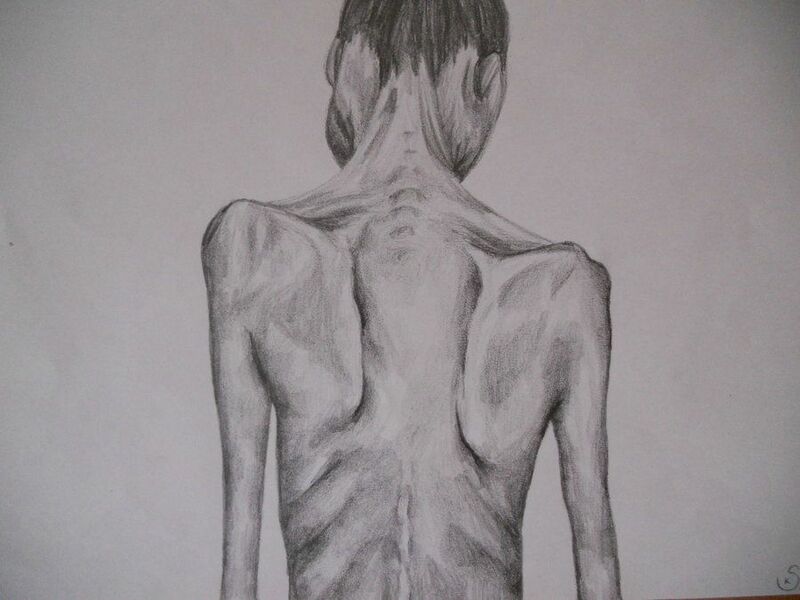 Peter was diagnosed with mild anorexia nervosa during his second year of doing PhD. But with the support of his family and friends, Peter is in the process of recovery and he now takes his life slowly and enjoys every minute of it. Peter is recently crowned the Champion of Malaysia 3 Minute Thesis 2017 for Social Science category. Have a short story or cerpen to share? Email us at editors@eksentrika.com! You retain copyright to your work. We just enjoy reading stories! PreviousWhat’s your epic Balik Kampung tale? Share the legend for prizes lah!